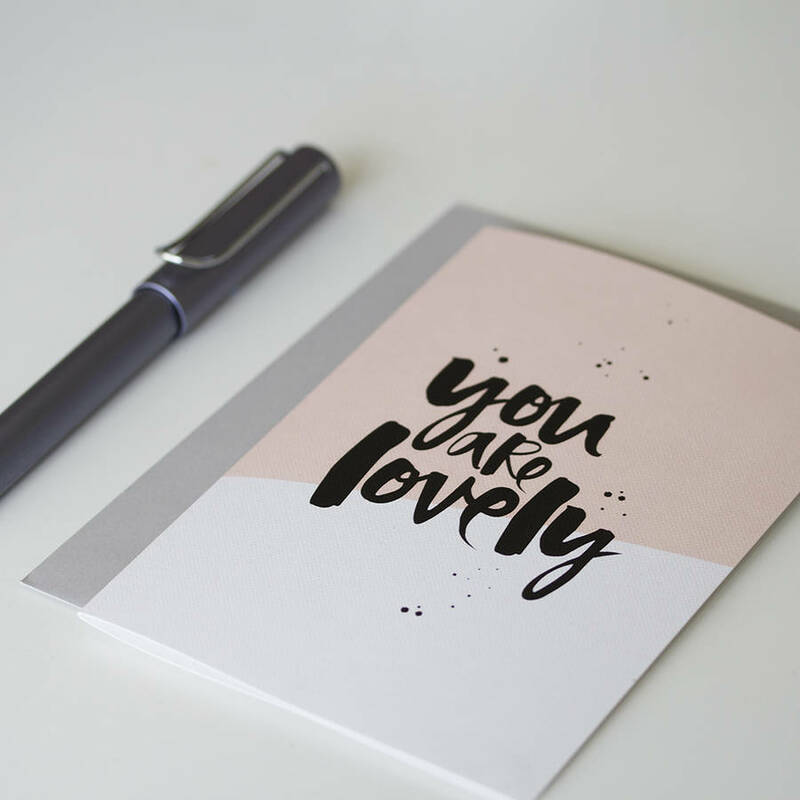 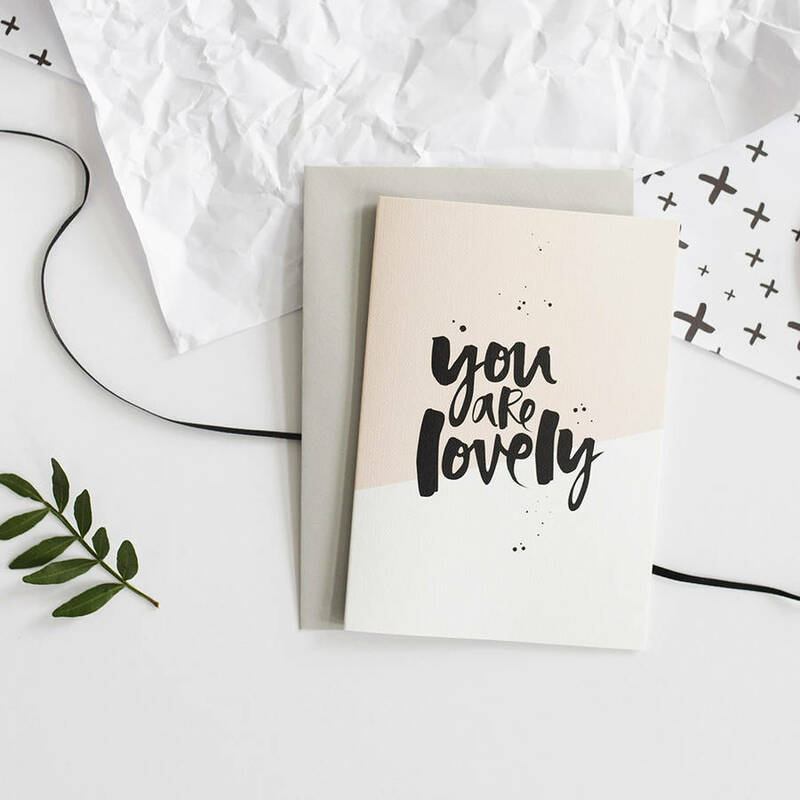 A simple and elegant greeting card designed for the stationery lover. Our brand new luxurious collection of hand lettered greetings cards are designed with a whole heap of love and a feminine touch. 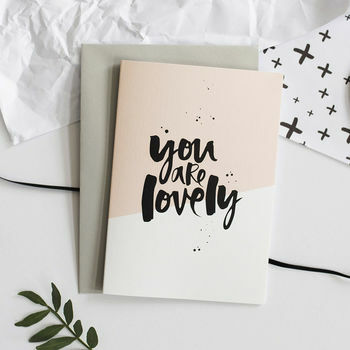 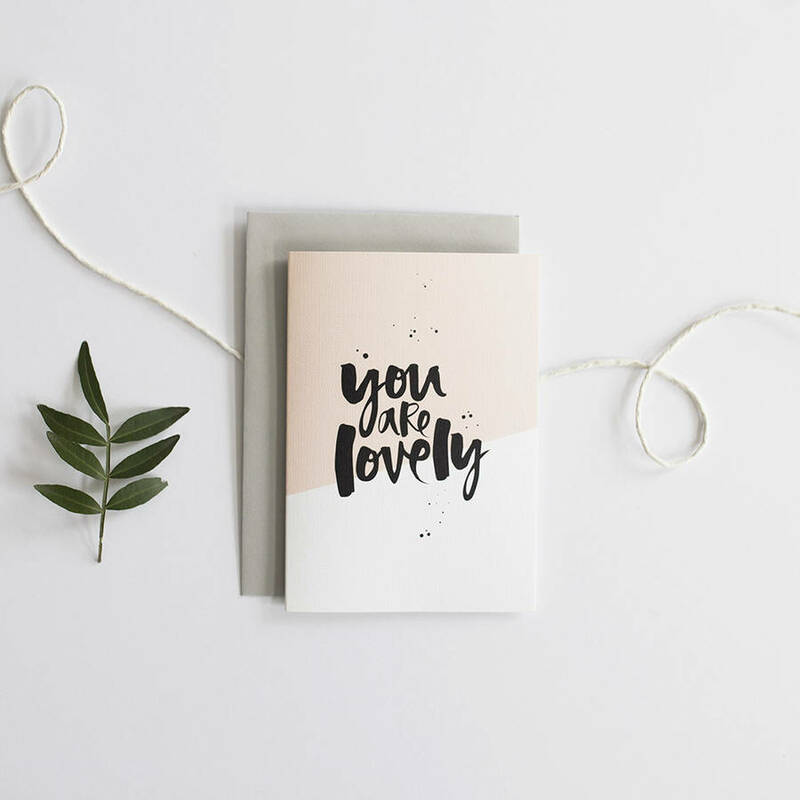 The perfect card to send to a special friend or family member to remind them just how lovely they are!! 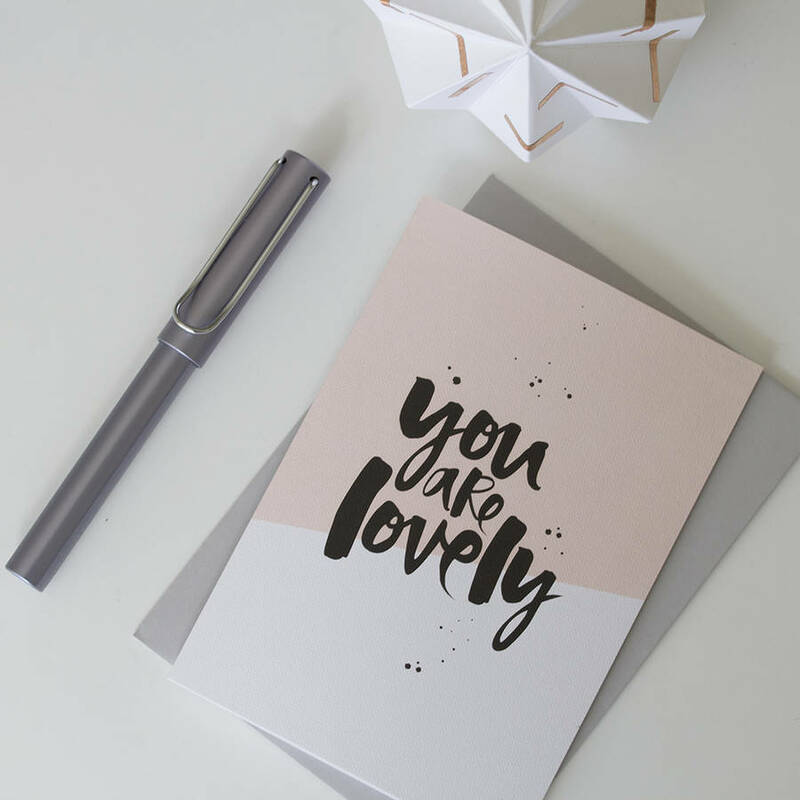 Our unique, contemporary and eye catching designs are created by hand using a Japanese brush pen and rich black Indian ink and printed on to the finest and extra luxurious FSC certified 350sgm textured card and teamed with our 'French Grey' envelope.